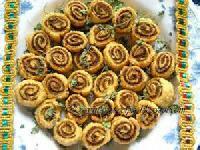 Bakarwadi is a famous snack item from Maharashtra. This crispy snack will have a spicy stuffing with the hint of sweet and tanginess. 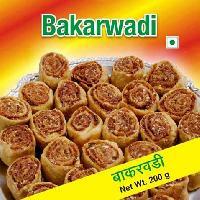 Our Bakarwadi is very popular all over the country, and we are an extablished brand when it comes to Bakarwadi namkeen. In pune, chitale bandhu doesn't need any introduction.they are the king and very well known for their signature bhakarwadi.now you don't need to visit the store physically in pune as sweetsinbox gets the best of them to you. 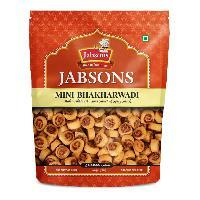 We deals in supplying of wide range of Bakarwadi. 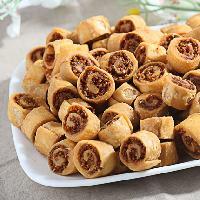 Bakarwadi is a famous snack item from Maharashtra. This crispy snack will have a spicy stuffing with the hint of sweet and tanginess. 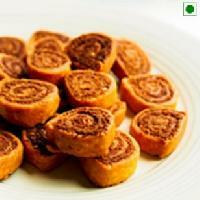 Our Bakarwadi is very popular all over the country.